For over a quarter of a century, Red Bud’s Michael Kueker did something he loved and did it very well. The game of softball gave Kueker a venue to showcase his talents and quench his competitive juices. The left-handed, line drive-hitting Kueker played either left field or right field for such teams as Horrell’s Distributing, First National Bank of Red Bud and First Bank of Red Bud. He compiled a lifetime .700 batting average and a very impressive .750 on-base percentage. Possessing great speed, Kueker was known for turning singles into doubles and doubles into triples, to accompany numerous inside-the-park home runs throughout his career. He began his softball playing days in 1976 with veteran Horrell’s Distributing club. This is where he picked up the nickname “Flea,” which he admits he first thought was “Flee” because of his great speed, but was a little surprised after receiving his team jacket and seeing “Flea” stitched into it. That name has stuck with him ever since. 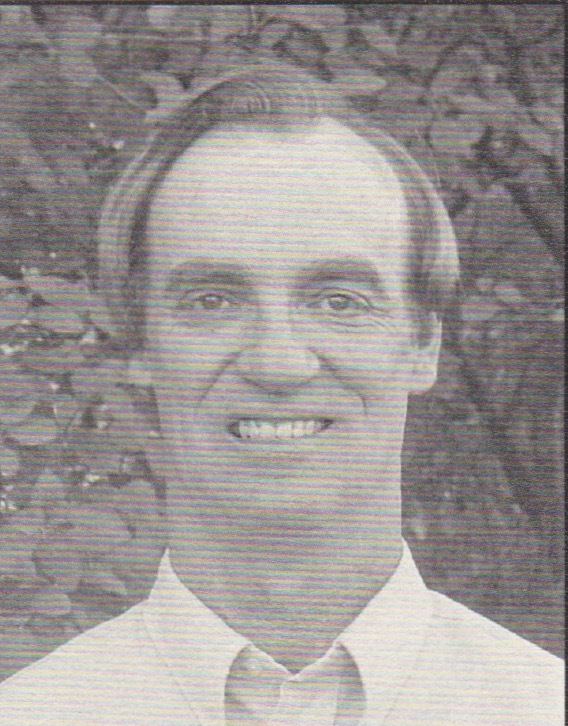 From 1979 through 1992, Kueker was the player/manager of the First National Bank of Red Bud. In 1980, he played in his first Illinois USSSA State Tournament with Mudville Giants and a year later made his initial trip to the Class C Divisional with FNB of Red Bud. The 1986 season saw his club finish 13th place at the Class C Divisional. All told, Kueker teams participated in the Illinois State and Divisional each year from 1982-1992. In the 1993 and 1994 campaigns, Kueker played and managed First Bank of Red Bud. In 1993, Kueker and his team finished second place at the Class D Illinois State Tournament and a solid seventh place finish at the Great Lakes Divisional Tournament in Cincinnati, Ohio. In that Divisional, Kueker hit an impressive .778 for the tournament. He then bounced around with a few different Class D teams over the next few years and played for Chester Victor Drugs in 1997-1998 in the 35 & Over Illinois State Tournament. In 1999, with Muehl’s out of Fairview Heights, Kueker helped his team to a second-place finish at the Illinois State 40 & Over Tournament. All in all, Kueker played in ten Divisional (five in each Class C and D) and 17 State Tournaments (six in each Class C and D, plus five in Class B). He was also named All-League in the USSSA sanctioned Red Bud league 11 straight years (1990-2001). As for his take on the game of softball in the Illinois USSSA, he admits there have been many changes since he first took the softball field to begin his career. Growing up in Elmhurst in the 60s and 70s with his three brothers, Roy always had the desire to play sports. With a big backyard, they were constantly challenging each other in all sports. Growing up next to a 16-inch softball coach also got him introduced to softball at an early age. He fondly remembers coming home from an American Legion baseball game and having his neighbor waiting in the driveway to take him to Chicago to play softball because they were short guys. Playing on a veteran team taught him many valuable lessons including how to hit the ball to all fields. Home from college always brought tow things into play: finding a job and finding a softball team to play on for the summer. He continued to play with his neighbor in two leagues and found a tournament team of younger players to play weekends within the city. The fall of 1978 was a turning point in Roy’s career. He had just finished a successful summer playing 16-inch ball and since he graduated from college, he was able to play in his first fall league. His neighbor asked him to play in nearby Bensenville and he accepted the offer. The day of their first game, the neighbor came over to the house and informed Roy he needed to bring a mitt. He explained that he made a mistake and signed up for a 12-inch league. After batting above .850 for the league, Roy was asked to play hon three different teams from that fall league. This was the beginning of his 12-inch career and the end of his 16-inch one. In 1979, Roy was playing in Bensenville, Elmhurst and Glen Ellyn on three different 12-inch teams. During the 1980s, Roy played on a number of league teams in the western suburbs and was searching for the perfect tournament team. During this time, he played on numerous teams including the Shooters, X’s, Steamers and FCA. In the summer of 1993, he decided to put his own team together for the 1994 season and Aurora Thunder was founded the next year. He combined veteran players with a new talent to formulate a winning combination. Between 1994 and 2001, Aurora Thunder won three State Championships and became one of the most successful teams of that era. After the Thunder reign had ended, he took his veteran expertise to play on two quality tournament teams: WWJD and the Barn. Roy has always been known as a smart precision hitter who always looks for the holes. With his ability to hit the ball to all fields, he has frustrated pitchers and infielders for many years. As a lifetime .733 hitter, he usually found himself batting somewhere in the one through five slots. During his playing career, he has won eight Illinois State Championships and one World Championship. He has been on seven All-State Tournament teams, one Divisional All-Tournament team and two All-World Tournament teams. Roy continues to play softball on local area teams and plays tournaments in the Senior Division. In three years of playing senior ball, Roy has won nine World Championships with the Chicago Classics and Windy City Softball clubs. As you can see, softball still has not left this ball player as he has completed his 35th year of playing softball.